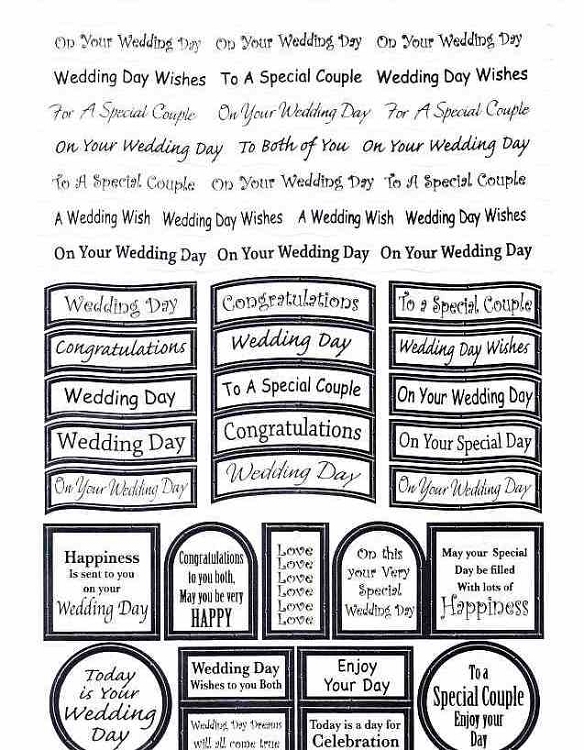 Craft UK Caption - wedding silver foil.These sheets have many different sayings, all Pre - cut and foil blocked. Use them with foam tabs to raise them up on your cards or scrapbook pages or just glue them on flat. Elegant accents to any projects that are quick and easy to apply.